I still can’t get over seeing “Hide ya ramps, hide ya leeks” on twitter last week… hysterical (don’t get the reference? click here). 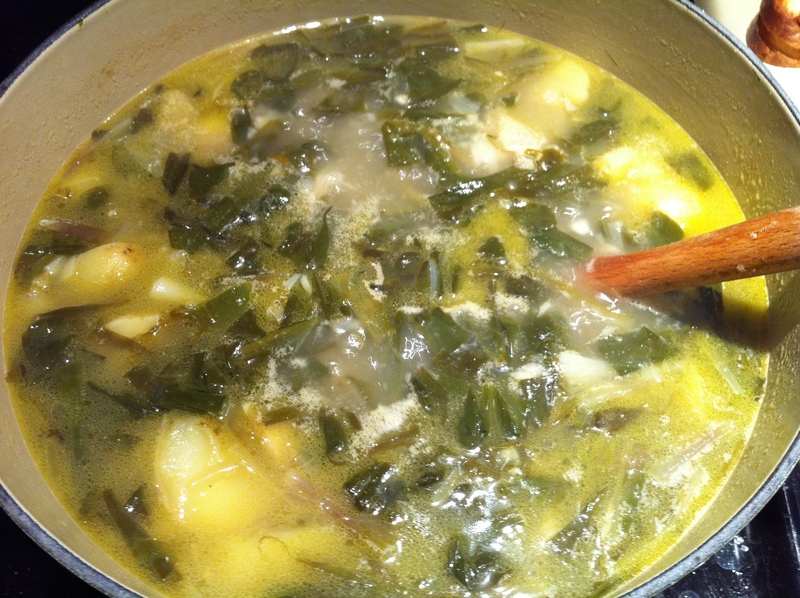 After doing a quick internet search on “Ramp Recipes” I came across an Emeril concoction: Baby Ramp and New Potato soup. I’m a huge fan of classic potato leek soup, so I figured I’d give it a whirl! Ditto to Ames on this dismal, rainy weather. What better for a cozy night in than a steaming pot of soup?! 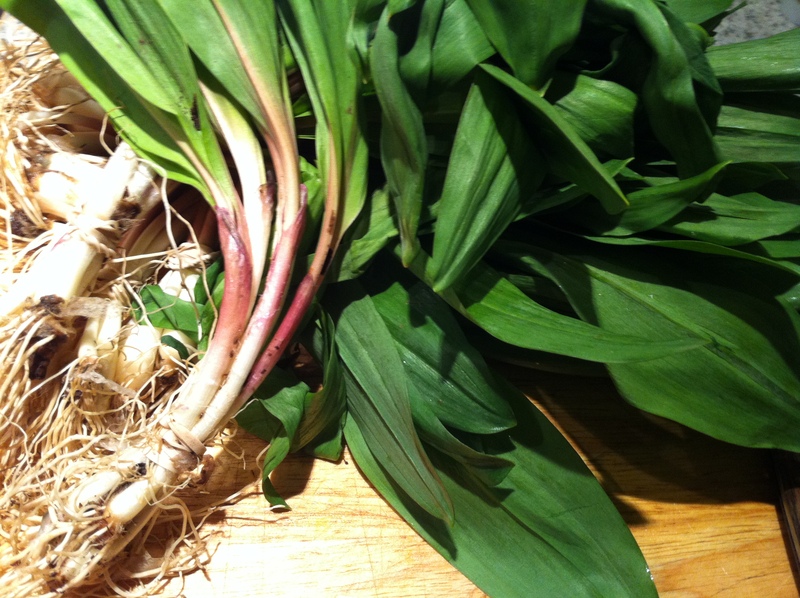 Ramps are quite difficult to find in NYC (maybe just for me? 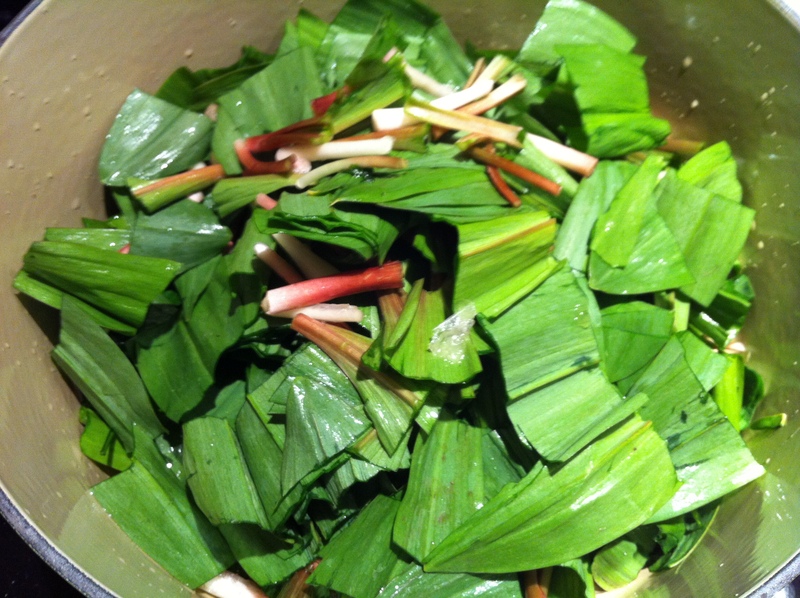 )… when Amy first suggested this ingredient, my initial response was “Where the HECK am I going to find ramps? ?” I had no luck at grocery stores, but finally was able to track them down at Eataly (what DON’T they have??). Of course after I found those, I saw bunches more at the Union Square Greenmarket. Success! Once your ramps are safely home, cleaned, and sliced, melt the butter in the bottom of a large, heavy pot (I used le creuset). Add the ramps and saute until they are wilted. Add the bay leaf and garlic and stir for a couple of minutes, then add the potatoes and stock. Bring the mixture to a boil, then reduce the heat to medium and simmer for about an hour, or until the potatoes are soft and the liquid has reduced. Stir in the cream and season with salt and pepper. 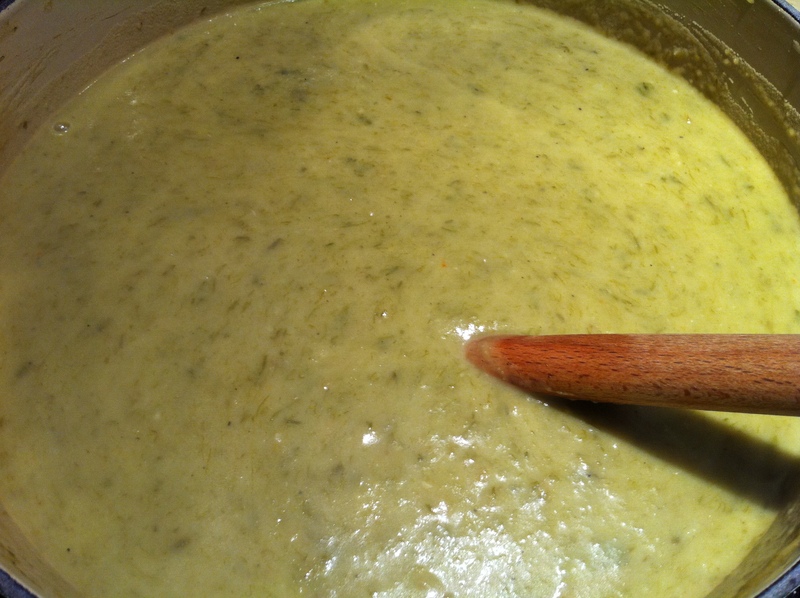 I used an immersion blender to puree the soup a bit – the chunks just seemed a little larger than bite-sized. 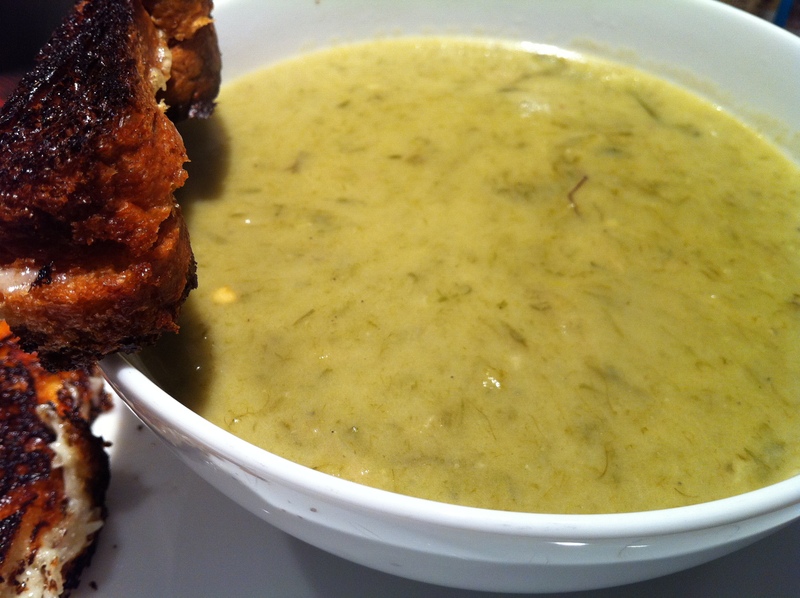 At this point you can choose to either make a brioche grilled cheese to accompany the soup, or not make a brioche grilled cheese to accompany the soup. I’m sure you will make the right decision. I know I did. This entry was posted in Ramps and tagged brioche, chicken stock, cozy, cream, dinner, Emeril Lagasse, garlic, grilled cheese, new potatoes, Potato Leek Soup, potatoes, ramps, soup. Bookmark the permalink.